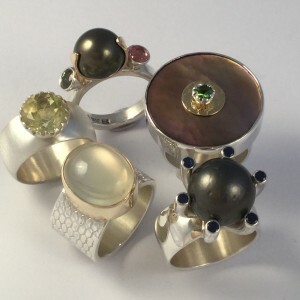 Contemporary Studio Jewellery handcrafted with a high quality of workmanship, featuring this year at WHMilbank Gallery, Come along for a visit to check out my latest creations, or talk about designing or remaking. Commissions are always welcome. My studio located at 30 Dublin Street is open by appointment throughout the year.